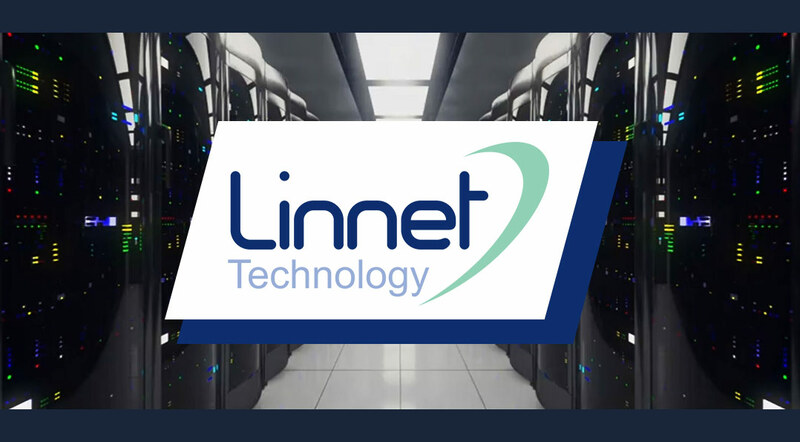 Linnet Technology provide uninterruptible power supplies and maintenance/support services for UPS devices to a range of businesses and industries. 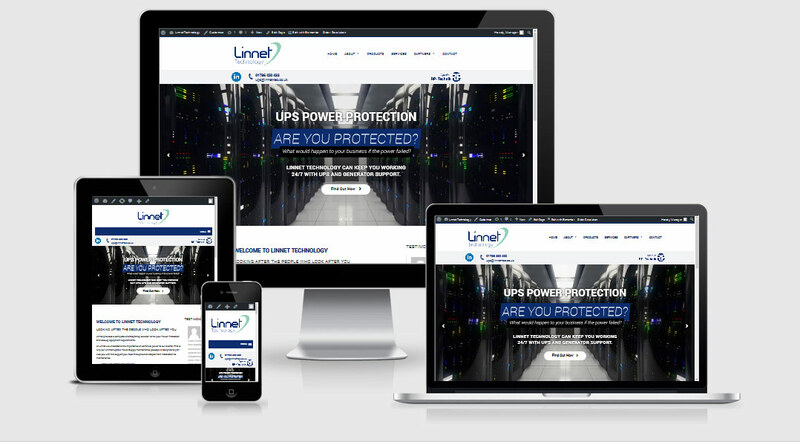 We had built their old website several years ago, but they decided it was now time for a facelift. 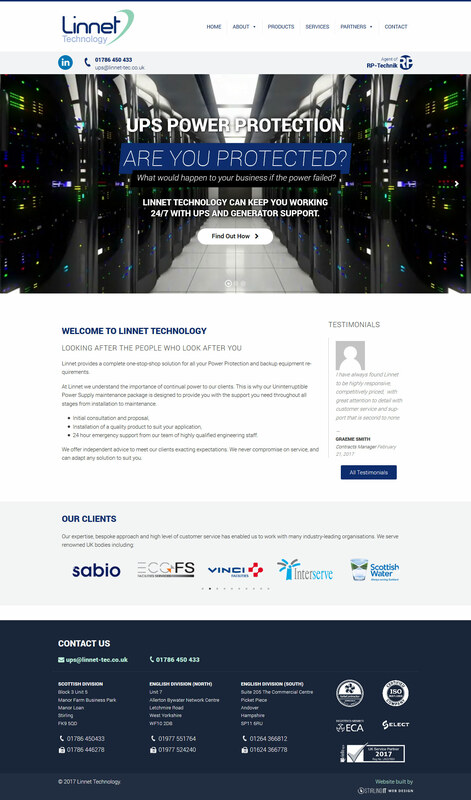 The project goal was to reskin the old website using newer web technology and graphics, keeping the original white/blue/cyan colour scheme and overall general appearance. The client requested that the new home page should be more attention-grabbing than a photo banner or animated slider, so we placed a video background in the homepage banner. The old website was somewhat disorganised and awkward to navigate. To improve this, we worked with the client to condense their content and rewrite sections of it for better readability, relevance and SEO.